Candidate is required to have scored at least 55% or equivalent CCWA/CGPA in postgraduation in the subject (or in an allied discipline); or at least 60% or equivalent CCWA/CGPA in a four year graduation. Visual arts are forms of art that focus on creating pieces of work that mainly make use of the visual environment, while trying to convey messages of emotion, ideas or information. The field of visual arts covers three main sub-fields: fine art (painting, drawing, graphics, sculpture, architecture), decorative art (tapestry, ceramics, mosaic art, glass art, jewellery art) and contemporary art (artistic photography, art print, video art, animation, graffiti art). 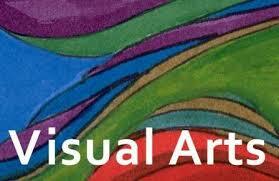 This discipline relates to similar disciplines such as art and art history, graphic design and cultural studies. This page was last modified on 3 October 2015 at 19:10.